In Small Things Remembered » Afghan workers erecting the U.S. Pavilion at the 1956 Jeshyn Fair. at the 1956 Jeshyn Fair. 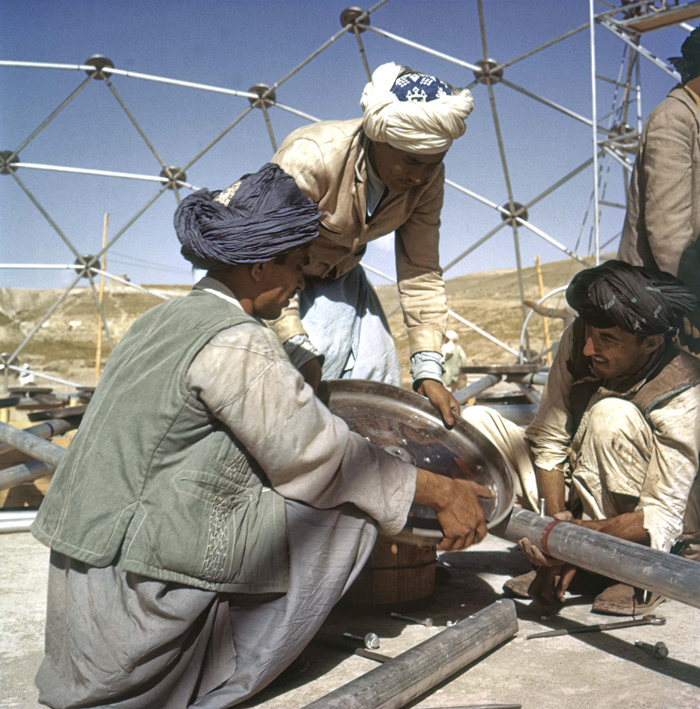 Before Epcot Center opened in Florida in 1982, there was the 1956 U.S. Pavilion in Kabul — the largest geodesic dome of its time. Other nations spent weeks building their pavilions with imported labor forces, while Americans and Afghans worked together to make architectural history in only 48 hours.